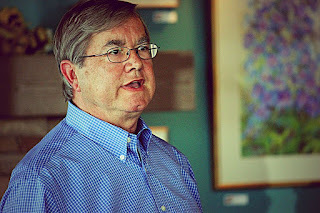 The following is a guest post researched and written by Mark Lawrence Gade, a Michigan State University graduate and Detroit history enthusiast and docent. Only four years after becoming a state, the tobacco industry in Michigan got its start when George Miller became the first tobacconist in the city of Detroit in 1841. By the 1850s--with the help of New York's Erie Canal--many Germans migrated to Detroit. These Germans enjoyed smoking and knew how to produce excellent cigars; soon they dominated the city's industry. Raw material was nearby in Southwestern Ontario. The Canadians produced a high-quality tobacco crop in sandy and silt-loam soil. With tobacco so close at hand, demand for Detroit's quality wrapped cigars turned a cottage industry into an early form of mass production employing thousands of workers throughout the Detroit area. Long before Henry Ford's assembly-line, the cigar industry deconstructed the rolling of cigars into specialized tasks. Each worker performed one part of the process, so few people had the skill to make a whole cigar. Baskets or crates of cigars were moved from station to station down long tables. The process was efficient and Detroit cigars became known for their consistent quality. Then came the American Civil War and the soldier's high demand for tobacco products. To the Yankee or Rebel soldier, tobacco represented the convenience and consolation of home. The hand-rolled cigarette was still an item of luxury, but the cigar represented victory, and the pipe comfort and solace. Soldiers North and South often relaxed by chomping on rich, gooey plugs of chewing tobacco or by smoking delicate clay pipes before, during, and after battles. Much of this tobacco was processed and packaged in Detroit. Sixteenth governor of the State of Michigan (1873-1877) John Judson Bagley moved to Detroit in 1847. In his early twenties, he started his working career as a humble apprentice in a small chewing tobacco shop. 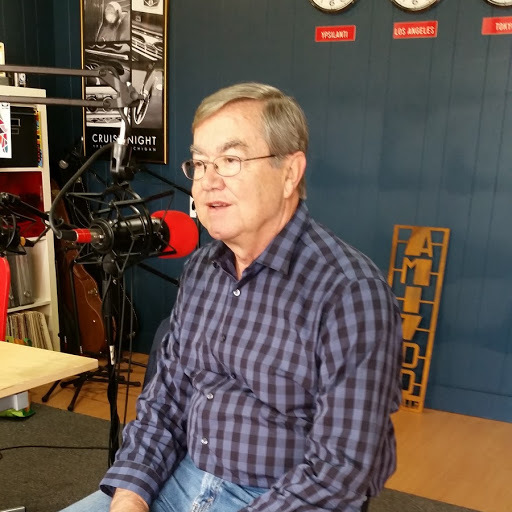 After seven years, he bought the business and renamed it Mayflower Tobacco Company turning his company into an industry leader. 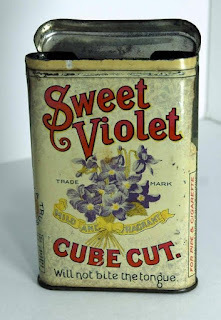 Bagley manufactured a rectangular form of chewing tobacco in a tin with a friction-fitted lid that became an industry standard. 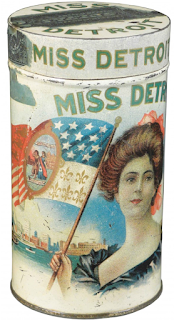 Bagley made a fortune and helped make Detroit a leader in the manufacture of tobacco products. At the turn of the twentieth-century, the tobacco industry employed many young women--mostly Polish immigrants. 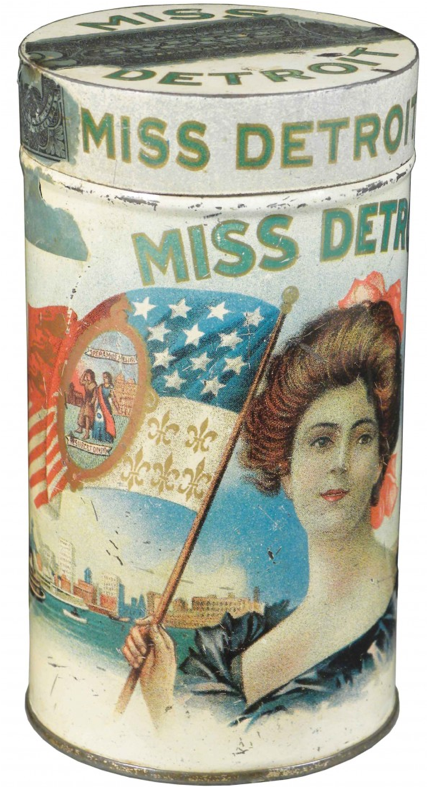 In 1913, the ten largest Detroit tobacco companies employed 302 men and 3,896 women, making the cigar industry the largest employer of women in the city. The process of hand rolling cigars was labor intensive and involved some skill. Too tight and the cigar would not draw properly, too loose and the cigar fell apart. Although women were not organized into labor unions, they were able to make $25 to $40 a week. That was a good wage a hundred years ago. A cigar company sit-down strike. On June 26, 1916, Detroit's San Telmo Company signed a contract with its unionized male cigar makers giving them a significant pay increase. The women wanted equal pay for equal work. Three days later, women at the Lilies Cigar Company walked off the job. Soon there were strikes shutting down all the major Detroit cigar producers. Through their united action, women workers achieved some of their demands. The center of the tobacco industry remained in the North until the 1920s. When Prohibition went into effect with the passage of the nineteenth amendment in 1920, the major marketplace for cigars--saloons and hotel bars--were closed and the social patterns of America were shaken. 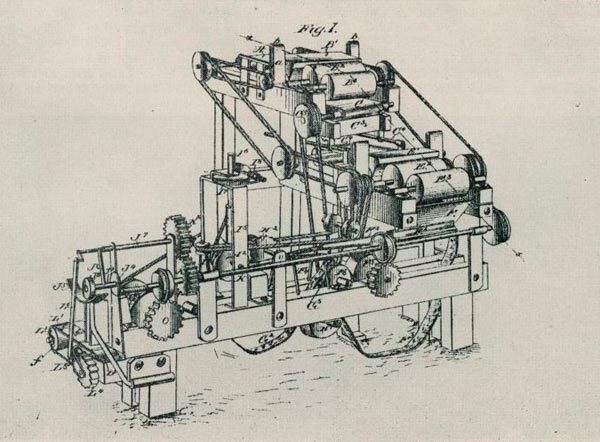 Patent office drawing of automatic cigarette making machine. 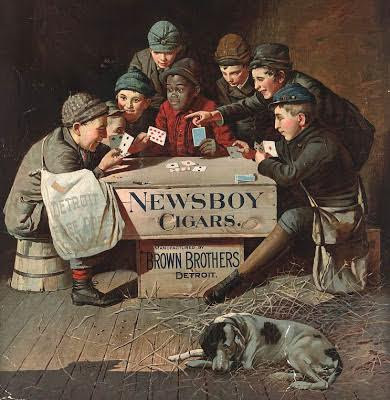 But the writing was on the wall for Detroit's cigar and tobacco industry. 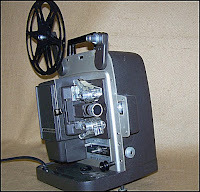 The invention of the automatic cigarette rolling machine in 1881 reduced demand for cigars and other tobacco products. James Albert Bonsack's machine was patented and installed throughout many Southern states causing a shift in the tobacco industry away from the North. Inexpensive mass-produced cigarettes were all the rage in the fast approaching twentieth century. Detroit's ambition shifted too--towards the automobile business which would revolutionize the new century. In 1966, the last cigar manufacturer in Detroit--Schwartz-Wemmer-Gilbert--closed its doors. Detroit was once home to thirty-eight tobacco companies. Over a period of twenty-seven years, the Ford Rotunda hosted over 16.5 million visitors. In the 1950's, it was the fifth most popular tourist attraction in the United States. 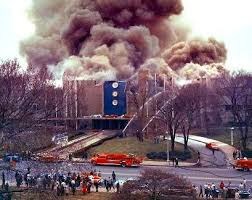 The building was ten stories tall. Its steel and aluminum framework was covered with Indiana Limestone to match the Ford Motor Company's Administration Building across Schaefer Road. The building resembled four gear wheels stacked in decreasing size from the top to bottom. 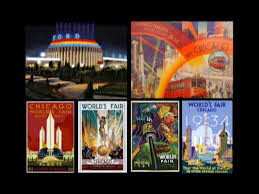 It was originally built for the Chicago World's Fair and opened to the public on May 14, 1934. After the fair was over, the building was reconstructed on a site in Dearborn, Michigan and used as Ford's World Headquarters for a brief time. The building was closed to the public during World War Two and used as a tech center for military training. 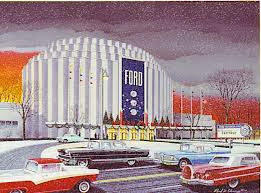 The Ford Rotunda was reopened on June 16th, 1953 to celebrate Ford Motor Company's fiftieth year in business. It was used as an exhibition center displaying all the recent models of Ford automobiles. In addition to a Test Drive Track ride which circled the building, other exhibits were The City of Tomorrow, The Hall of Science, and something called The Drama of Transportation. Fifty-six years ago on November 9, 1962, the roof was being waterproofed with hot tar in preparation for the annual Christmas Fantasy exhibition. The roof caught fire and within an hour, the building had burned down. The nine year long holiday tradition came to an end. Those of us from the Detroit area who grew up when the Rotunda was in its heyday, namely we Baby Boomers, sadly remember the passing of this great Christmas tradition. 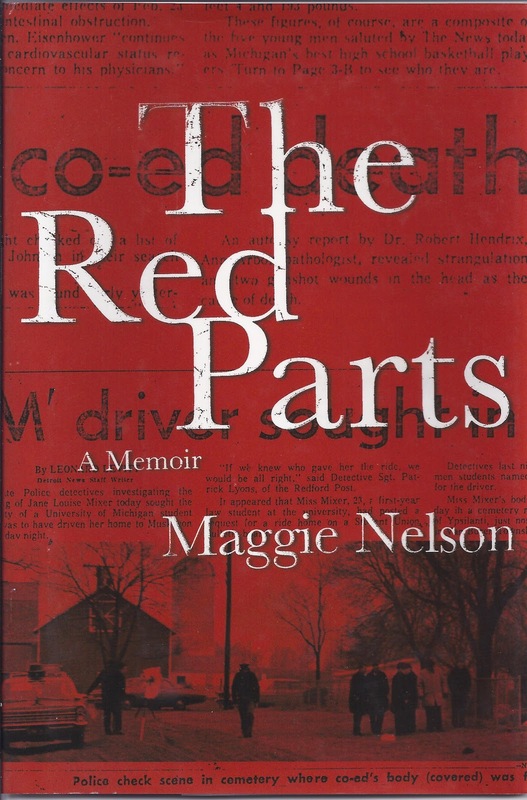 In her profoundly personal memoir, The Red Parts, Maggie Nelson gives readers a glimpse of what lies behind the curtain of American jurisprudence and its affect on the surviving members of one family. Miss Nelson is the niece of Jane Mixer, John Norman Collins' alleged third victim. 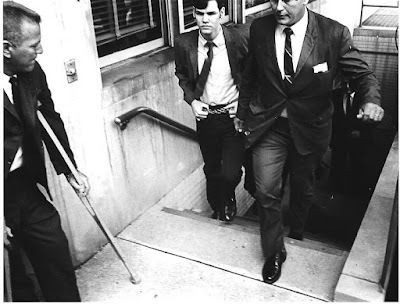 Thirty-six years after Jane's perplexing murder on March 20, 1969, the Mixer family had to endure testimony of the details of her tragic death in a trial held in Wayne County, Michigan, in 2004. For over three decades, Jane's murder was lumped together with the six other unsolved killings in the Ypsilanti/Ann Arbor area, despite fundamental differences including where, how, and what condition the body was found. 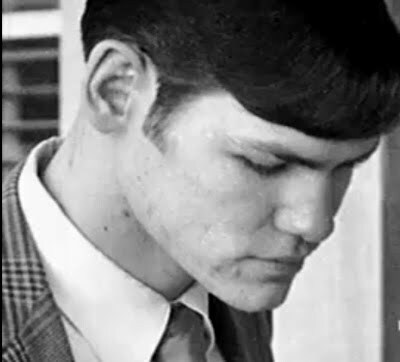 Armed with a positive DNA match, as well as convincing circumstantial evidence, Gary Earl Leiterman, a retired male nurse working in Ann Arbor at the time, was found guilt of her murder. 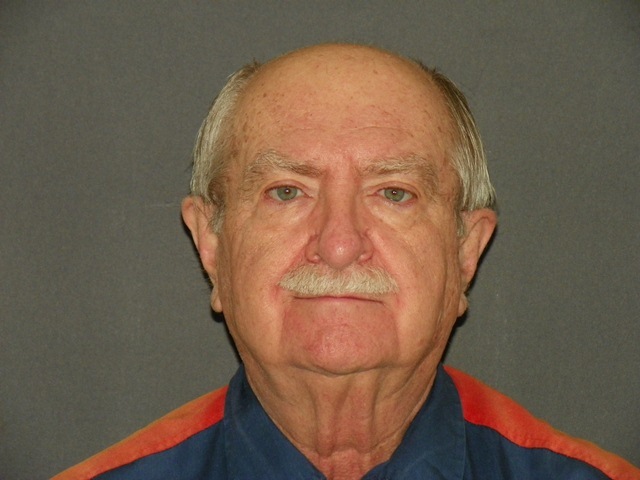 John Norman Collins claimed since the beginning he never knew Jane, now he was exonerated for at least one of the seven Michigan murders he was accused of. 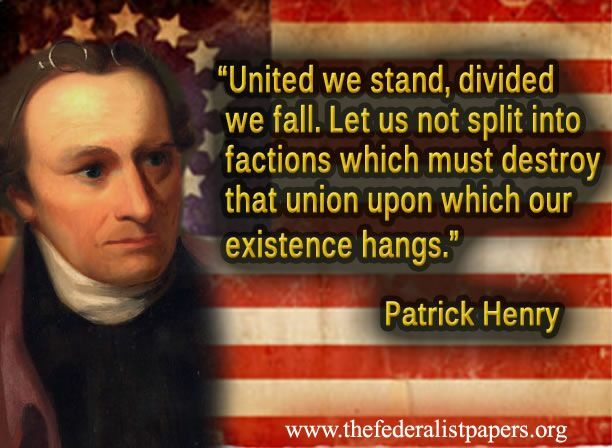 Even a broken clock is right twice a day. With unflinching honesty, Miss Nelson tells us the ins-and-outs of her aunt's case with brutal clarity and a benumbing sense of self-awareness that only comes from profound emotional trauma. Early in her book, she asks herself, "Who am I to tell Jane's story?" I can think of nobody better. 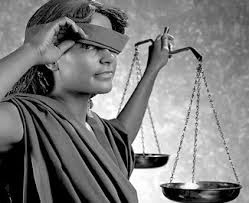 Later in the book, she finds herself getting drawn into the media vortex of the trial and its aftermath. Miss Mixer has some insightful things to say about American media's fascination with the "dead-white-girl-of-the-week" club. After reading Maggie Nelson's memoir, I am reminded that disturbing the feelings and memories of the families of the other victims in the Collins case is not to be taken lightly. These girls deserve to be remembered as living human beings, rather than victims of something wicked that happened in another time no longer relevant today. For their memories and what happened to them to simply fade away is unacceptable. This is Ypsilanti, Michigan history, however unpleasant for some individuals or for the city. The six other murdered girls deserve to have their stories told for the record as well, like Maggie Nelson did for the memory of her aunt, Jane Mixer. I want to honor these lost young women by relating the most accurate account of these matters as possible and bringing some degree of closure to people who cared about these young girls. In the end, the public deserves the truth. 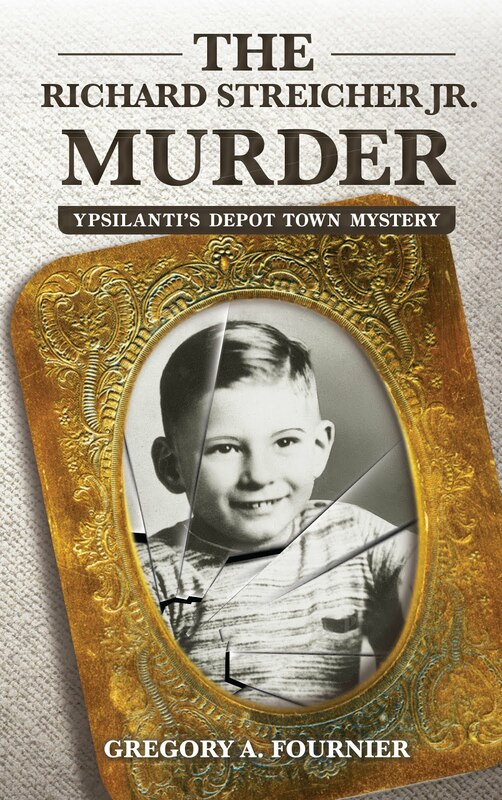 Early on in my writing of Terror in Ypsilanti, my primary goal was to pay a debt to history and restore the real names of the victims which were changed in the novelized treatment The Michigan Murders. 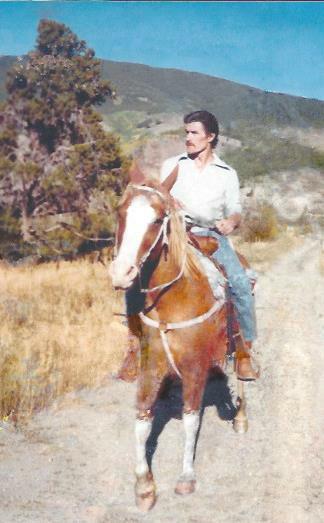 John Norman Collins's name was also changed to mask his identity--a courtesy he does not deserve. Many of the people in law enforcement who worked on these cases and others in the know were dissatisfied with Edward Keyes's version. Too many assumptions and presumptions. 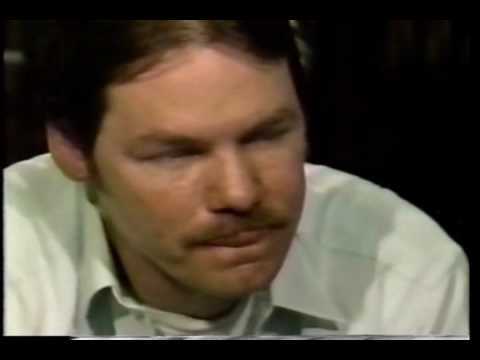 Even John Collins criticized the liberties Keyes took with the descriptions of his family and his motivation for committing these crimes--his mother. 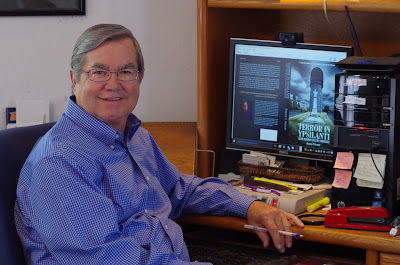 Collins claims he never read the Keyes book, but how else could he comment on it? In Terror in Ypsilanti, I went easy on Collins's family. They never killed anybody. Over the five years it took to research and write this book, I received nasty emails from a number of people using fictitious names. For example, one goes by the handle Disrobing Furball. Some complaints came from Collins acolytes and some from fraternity brothers who took exception with any re-examination of these cases. Some few of these guys have reason to feel uncomfortable. They knew or suspected Collins of these crimes early on but remained silent. Now that my nonfiction treatment of this subject matter is out, these same people have surfaced on my Amazon book page giving me particularly nasty reviews. They stand out because my reviews are overwhelmingly positive, but these have a distinct pernicious quality and are thinly disguised personal attacks. I would regard their comments more seriously if they were informed, and they had placed their real names on their reviews. But they hide behind pseudonyms. All I can say is consider the source. In a recent Detroit News article [September 27, 2016], Collins claims he hasn't read my book but is quoted as saying it is "HEARSAY AND SPECULATION." For five years, he has refused to speak or meet with me but uses a go-between when he wants to communicate--knowing I'll get word of it. The woman he has chosen for this duty has been corresponding with Collins for years and speaks with him every Tuesday over the phone for fifteen minutes. She and I have been communicating for the last several years and have developed a cordial relationship. Last Tuesday, Collins phoned and told her he was "Super Pissed! But my Ypsilanti and Center Line friends have my back." Now, I know the source of the toxic reviews. As an author, criticism comes with the territory, and I expect to get my fair share, but personal attacks are a horse of a different color. I welcome all fair and honest remarks and reviews. 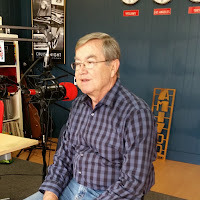 On October 1, 2016, AM1700 Ypsilanti talk show host Mark Maynard interviewed me about my true crime book Terror in Ypsilanti: John Norman Collins Unmasked. If you were unable to attend one of my recent book talks, this interview is the next best thing. The running length is forty-nine minutes. Thank you to the people who came out to hear me speak about serial killer John Norman Collins last week. 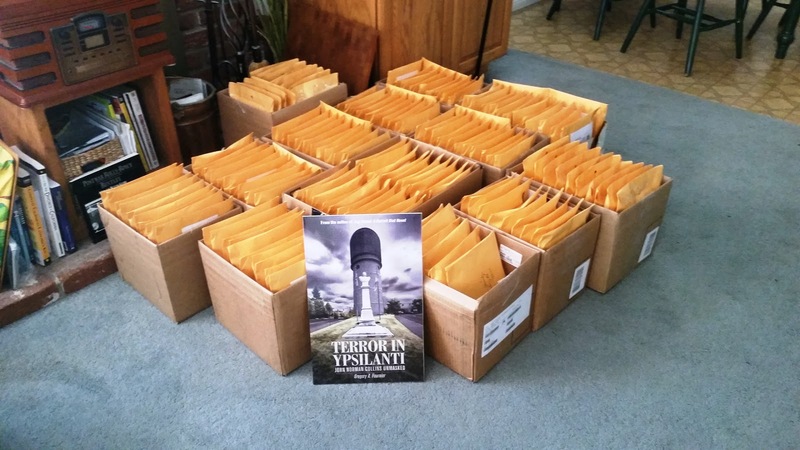 Both of my Ypsilanti venues were standing room only, and I sold out my entire Michigan stockpile of Terror in Ypsilanti books. Many people whose names appear in the book were in attendance--several from law enforcement and many who contributed information vital to the factual telling of these terrible events. In addition to my book talks, I was able to land a front page article in The Detroit News reported by Kim Kozloski on September 27, 2016. 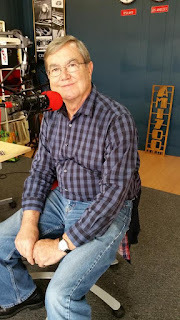 On the tail end of my tour, I gave two media interviews, one on AM 1700 broadcasting from historic downtown Ypsilanti and the other by popular Detroit area podcasters Drew and Mike. If you were unable to attend my book talks, you may be interested in listening to the following podcast link. My interview starts one hour and twenty-three minutes into the show. Terror in Ypsilanti: John Norman Collins Unmasked is available in a quality paperback edition on Amazon and other online retailers. The e-book is also available on Kindle, KOBO, Nook, and other digital formats. 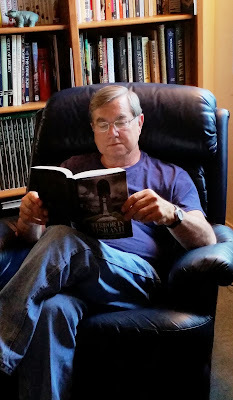 Autographed copies can be purchased from my website http://gregoryafournier.com. 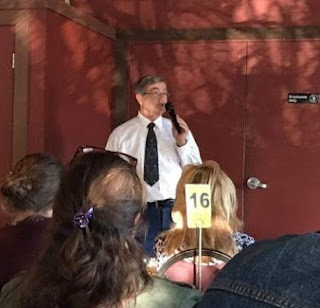 Me speaking at Brewed Awakenings in Saline--April 2016. September 24th - St. Cece's Brewery [6-8 pm], 1426 Bagley Avenue, Detroit, in Corktown. Over 21 only! Sponsored by Book Club of Detroit. September 27th - The Corner Brewery [5-7 pm], 720 Norris Street, Ypsilanti. Over 21 only! September 29th - Ypsilanti District Library [6-8 pm], 5577 Whittaker Road, Ypsilanti. October 1st - 1700 AM Radio interview at 6:00 pm. Autographed copies will be available but limited to stock on hand. Signed copies can also be purchased at my author website listed below. Come to one of my book talks if you can. I'd like to meet many of you in person and try to answer any questions you may have. In the Victorian period, the expression in the limelight meant the most desirable acting area on the stage, front and center. Today, the expression simply means someone is getting public recognition and acclaim. The limelight effect was discovered by Goldsmith Gurney in the 1820s based on his work with an oxy-hydrogen blowpipe. Scottish inventor, Thomas Drummond (1797-1840), built a working model of the calcium light in 1826 for use in the surveying profession. The calcium light was created by super heating a cylinder of quicklime (calcium oxide) with an oxy-hydrogen flame that gives off a bright light with a greenish tint. Eleven years later, the term limelight was coined to describe a form of stage illumination first used in 1837 for a public performance at the Covent Garden Theatre in London. By the 1860s, this new technology of stage lighting was in wide use in theaters and dance halls around the world. It was a great improvement over the previous method of stage lighting, candle powered footlights placed along the stage apron. Limelight lanterns could also be placed along the front of the lower balcony for general stage illumination providing more natural light than footlights alone. A lighthouse-like lens (Fresnel lens) was developed that could direct and focus concentrated light on the stage to spotlight a solo performance. 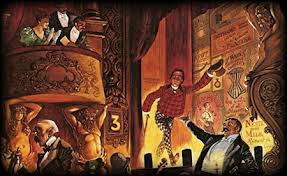 Actors and performers must have felt they were living in the heyday of the theater. The term green room has been used since the Victoria period to describe the waiting area performers used before going on stage. Theater lore has it that actors would sit in a room lit by limelight to allow their eyes to adjust to the harsh stage lighting, preventing squinting during their stage entrances. 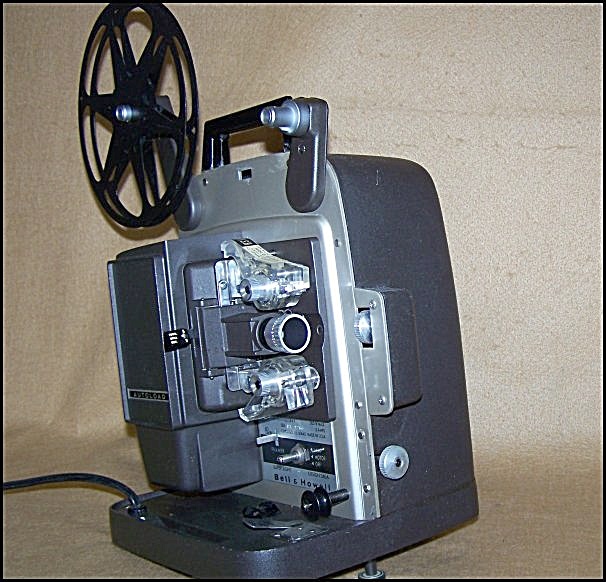 Although the electric light replaced limelight in theaters by the end of the nineteenth century, the term limelight still exists in show business, as does the term green room. Today, the green room celebrities use before appearing on talk shows is not usually painted green. The room still performs a similar function as in the Victoria age--to prepare a performer to go on stage. Spring 2016 was busy for me. 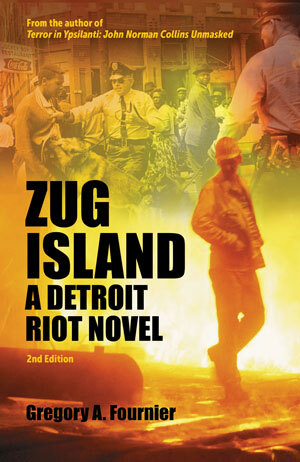 I completed Terror in Ypsilanti: John Norman Collins Unmasked (TIY) and re-edited Zug Island: A Detroit Riot Novel for a revised 2nd edition commemorating fifty years since the civil unrest of July 23, 1967. As if that was not enough, I also earned my cyberpunk badge learning to build and maintain my new author website. Starting today, I am open for business. 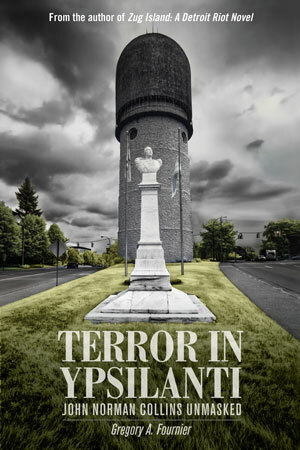 Terror in Ypsilanti will go to print in mid-July. Advanced copies are available at gregoryafournier.com. Expect four to six weeks for delivery until books are in the pipeline. 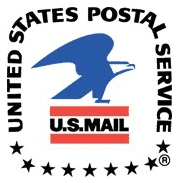 All orders must be within the delivery reach of the United States Postal Service. 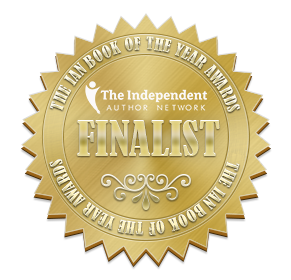 The final page count for TIY will come near 480 pages including a map commissioned for the book, several reader supplements, a photo gallery, and a subject index. I have not been told the final price point, but I have seen an Author Review Copy of the book and am pleased with the end result. I'm certain the book version won't be listed under $24.95 because of its length and quality. I am direct marketing TIY on my website for $20 plus $4 postage and handling. 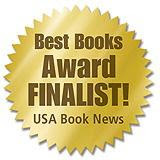 An e-book Kindle edition will be available on Amazon.com in the near future as well as the paperback edition. Discounted bulk and library copies will be available soon from my publisher Wheatmark.com. They honor a one-year return policy to vendors for unsold books. 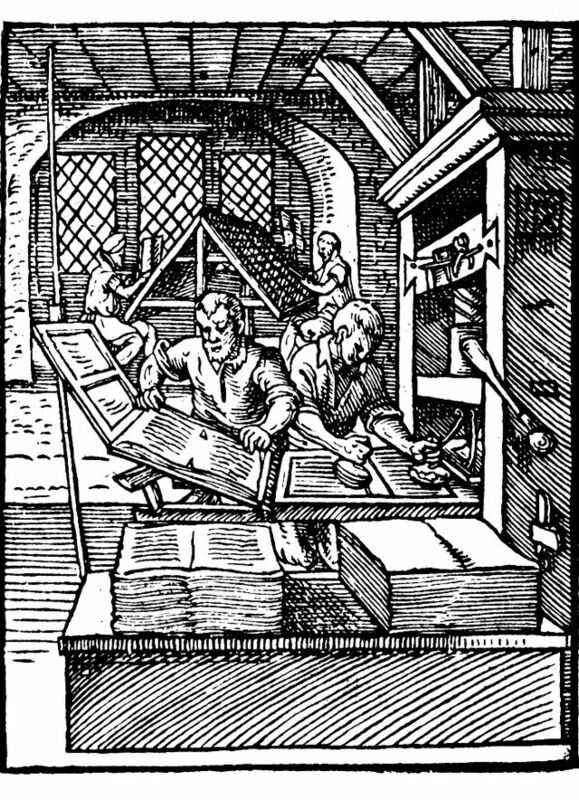 The publishing business is notoriously slow. In January 2016 at the San Diego State University Writer's Conference, I met literary agent Chip MacGregor. After reading my manuscript, he was interested in representing my book. MacGregor was optimistic he could place the book with a traditional publisher but warned it would take two years to see TIY in print. Waiting two more years was unacceptable. 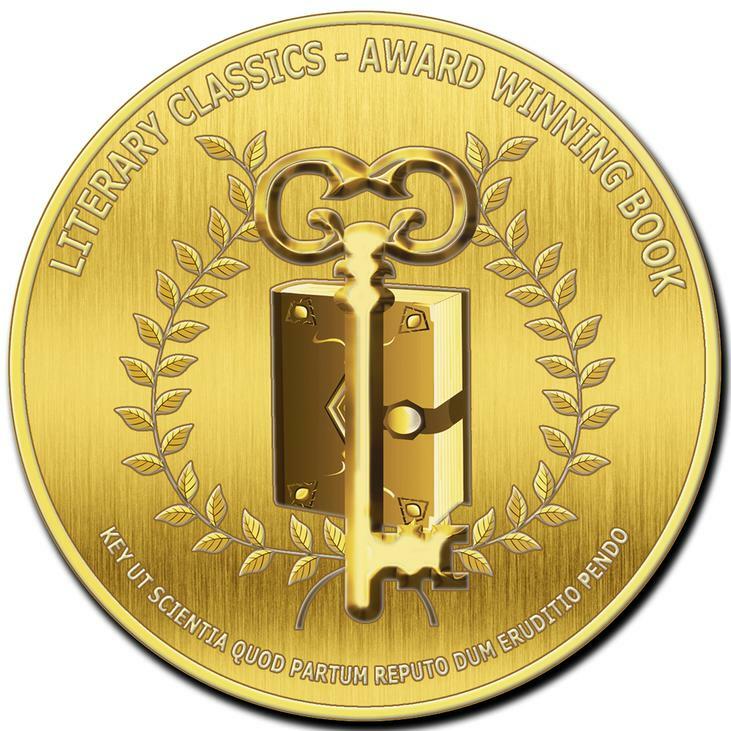 When he told me I would lose creative control beyond the manuscript, I decided to independently publish through Wheatmark. I did not want to see my vision for the book corrupted. By independently publishing, I made all the decisions. 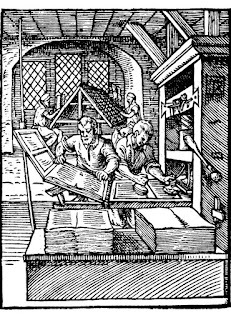 My researcher Ryan M. Place in Detroit and I have worked too long and hard to make compromises and cede creative control to a publishing house concerned primarily with the bottom line. Building an audience and keeping readers interested is not open-ended. Five years is a long time to ask readers to wait. Several key people who helped me tell this story have died and others anxiously await the book's release. I wrote the best account I could with what I had to work with. Now, it is time for the book to find its audience. Eastern Michigan University Student Queried - "Is Paul (McCartney) Dead?" 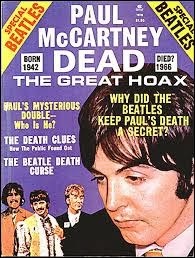 The biggest hoax in the history of Rock & Roll is surely the "Is Paul Dead?" controversy. On Sunday afternoon, October 12, 1969, Thomas Zarski, an Eastern Michigan University student, called [Uncle Russ] Gibb, a concert promoter and popular D.J. for Detroit's underground music radio station - WKNR-FM. 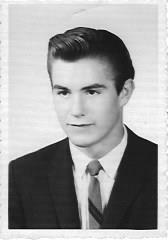 On the air, Zarski asked Gibb what he knew about the death of Paul McCartney. This was the first the D.J. heard of it. "Have you ever played "Revolution 9" from the The White Album backwards?" Zarski asked. Gibb hadn't. Skeptical, he humored his call-in listener and played the song backwards. For the first time his audience heard, "Turn me on, dead man." Then WKNR's phone started ringing off the hook. Apparently, the rumor started when Tim Harper wrote an article on September 17, 1969 in the Drake University (Iowa) newspaper. The story circulated by word of mouth through the counter culture underground for a month until Zarski caught wind of it. He called Uncle Russ asking about it. 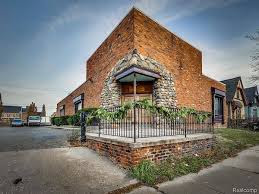 Gibb had solid connections with the local Detroit and British rock scene because he was a concert promoter at the Grande Ballroom--Detroit's rock Mecca. 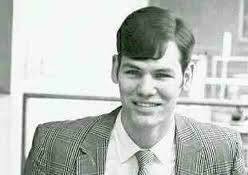 University of Michigan student Fred LaBour heard the October 12th radio broadcast and published an article two days later in the October 14th edition of The Michigan Daily as a record review parody of the Beatles' latest album Abbey Road. This article was credited for giving the story legs and was the key exposure that propelled the hoax nationally and internationally. Clues found playing the records backwards. Some people thought the Beatles masterminded the hoax because of the large number of clues. They thought there were too many for this story to be merely coincidental. 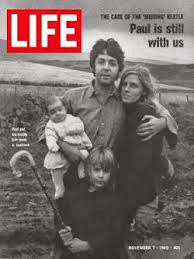 The story peaked in America on November 7th, 1969, when Life magazine ran an interview with Paul McCartney at his farm in Scotland, debunking the myth. 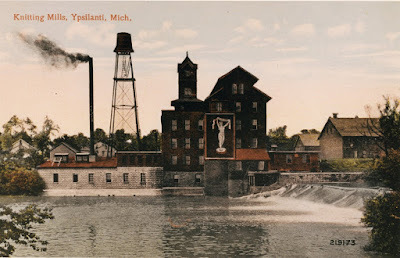 Ypsilanti, Michigan History - What's in a Name? Where the Sauk Native American trail crossed the narrows at a bend of the Huron River, Gabriel Godfroy--a French-Canadian fur trader from Montreal--established his Indian trading post in 1809. Fifteen years later, Judge Augustus B. Woodward of Detroit with two local land speculators--William Harwood and John Stewart--laid-out a town on land they purchased from the original French settlers. 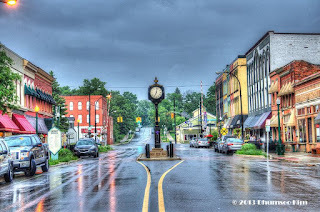 Judge Woodward was a Grecophile who wanted to name the town in honor of Greek war hero Demetrius Ypsilanti--a general famous for successes in his country's war for independence against the Ottoman Turks. 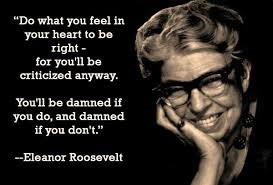 This struck a chord with Woodward. America had waged its own war for independence against the British not so very long before. His partners had a different idea with more commercial potential. They favored a name like Waterford or Waterville which highlighted the water-power feature of the Huron River to attract manufacturing business. Judge Woodward--being the major investor in the land project--had the final word. In 1824, the new town of Ypsilanti spanned both sides of the Huron River on the old Chicago Road (soon to be renamed Michigan Avenue). 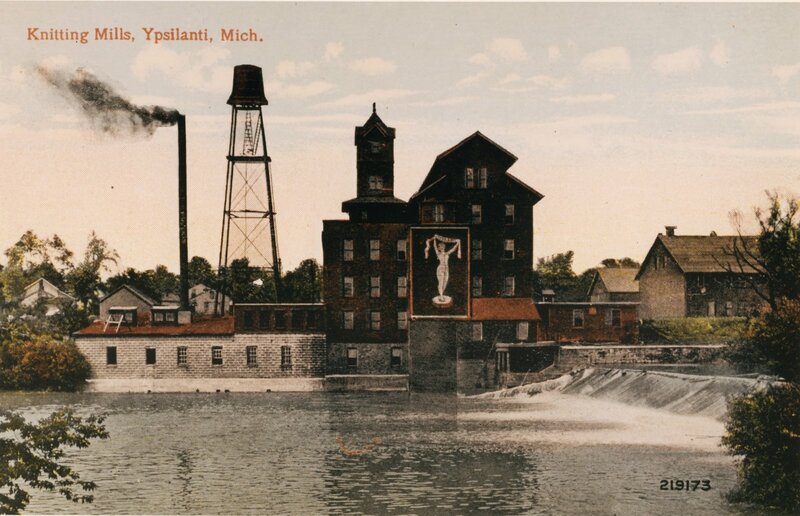 An area which began as a frontier trading outpost eventually became downtown Ypsilanti. 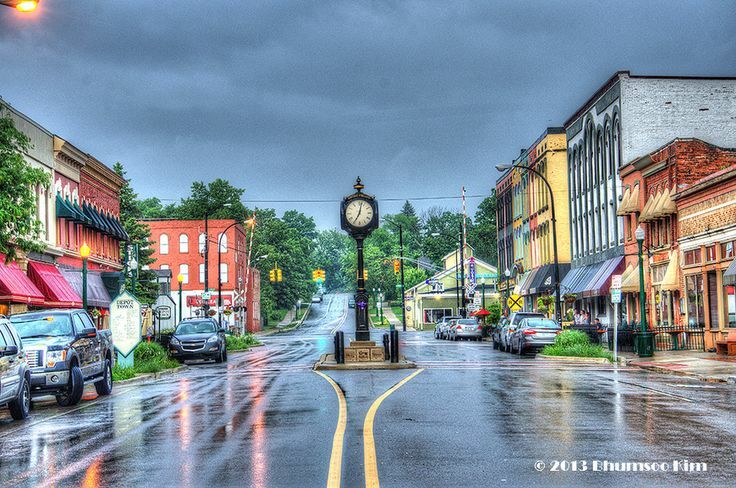 The east side of Ypsilanti developed when the Michigan Central train line began rail service in 1838, making the city an important economic hub for the area’s growing light-industry and agricultural concerns. A lovely, three-story train depot said to be the nicest depot between Detroit and Chicago was built in 1864. A two block long commercial district grew up along both sides of East Cross Street—aptly named Depot Town. Original Ypsilanti train depot with landscaping. The Depot Town businesses on the ground floors catered to the needs of weary travelers and light manufacturing. The upper floors were used for lodging, warehousing, or residential use. Depot Town was a destination for the Underground Railroad before and throughout the Civil War. Soldiers of the 14th and 17th Michigan Regiments left for the South from the Ypsilanti train station platform. 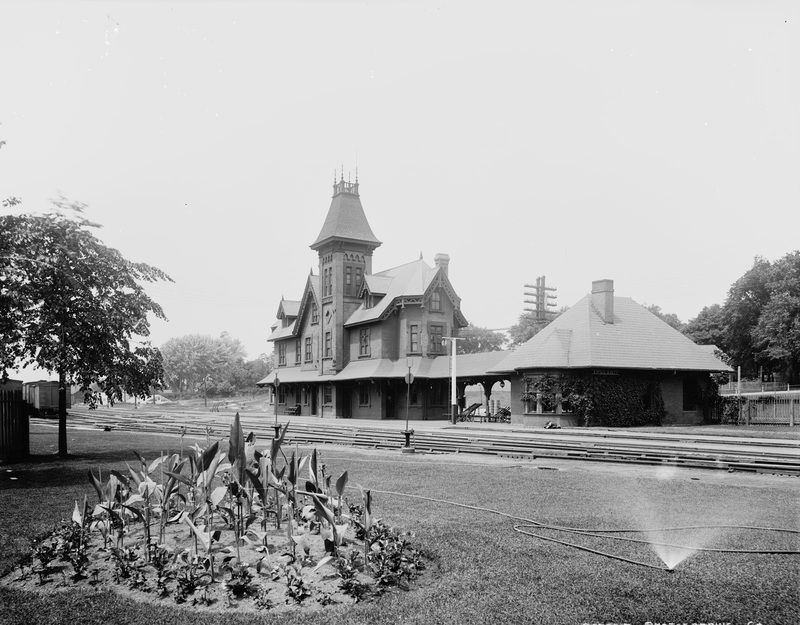 A fire destroyed the tower and the upper floors of the depot in May of 1910. New owners--Pennsylvania Central Railroad--decided to rebuild only the ground floor. Amtrak ended passenger service in 1982. There may be some life in the old girl yet. Depot Town could be a stop on the proposed Ann Arbor to Detroit commuter rail line which would bring more activity into the area. Restoring the Depot Town train buildings preserves a remnant of Ypsilanti's history which could be re-purposed on the interior to increase the commercial value of the property. I can envision a fine dining, Victorian-styled restaurant. Maybe a seafood restaurant. How about a sushi bar or an Asian noodle shop? Something that doesn't take business away from Frenchie's Sidetrack Bar & Grill or Aubree's Pizzeria & Grill. Ypsilanti's very own Gandy Dancer or something similar would be nice.